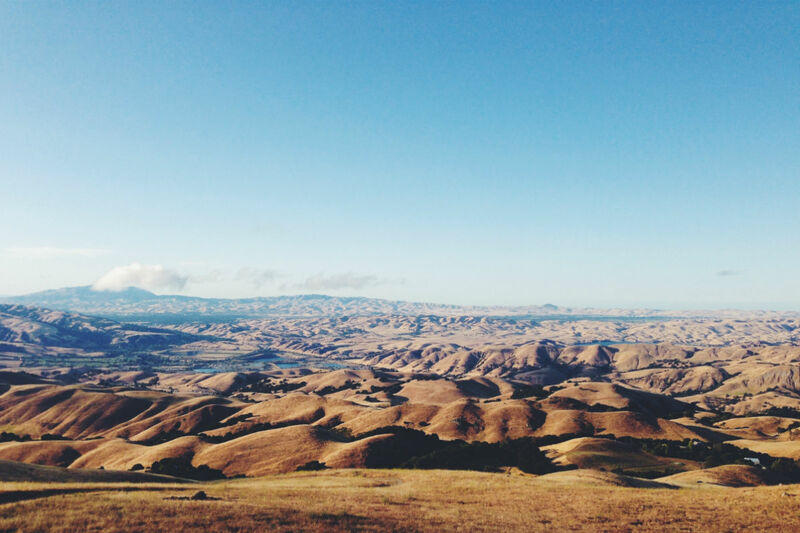 Humbling landscapes. Photo by / Unsplash. At a crossroads? 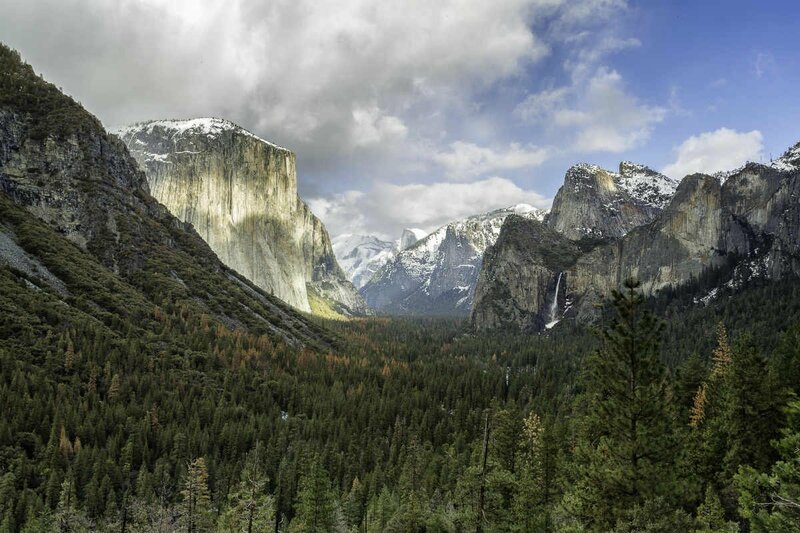 Before choosing a path, author Christine Lennon recommends making a detour that is at once awe-inspiring and humbling. And connecting to something much bigger than all of us. .
U.S.A. – Sometimes, you come across a place that is so unusual and breathtaking that it changes your life, a view so beautiful that you’re inspired to make some kind of grand gesture to match it, a sight so awesome that it restores your faith in the universe. My first experience feeling truly moved by nature happened in an unlikely place: at the bottom of a sinkhole in central Florida. These are such challenging times. My family and I thought it might do us some good to get out and see a spectacular part of America and foster some sense of pride in this crazy country. So we are excited for volcanoes! The kids are finally old enough to go on a challenging hike, and we need a head-clearing, perspective-altering, connect-to-the-universe kind of experience. Here, a list of my favorite life-changing natural wonders across the impressive and diverse American landscape. Devil's Millhopper. 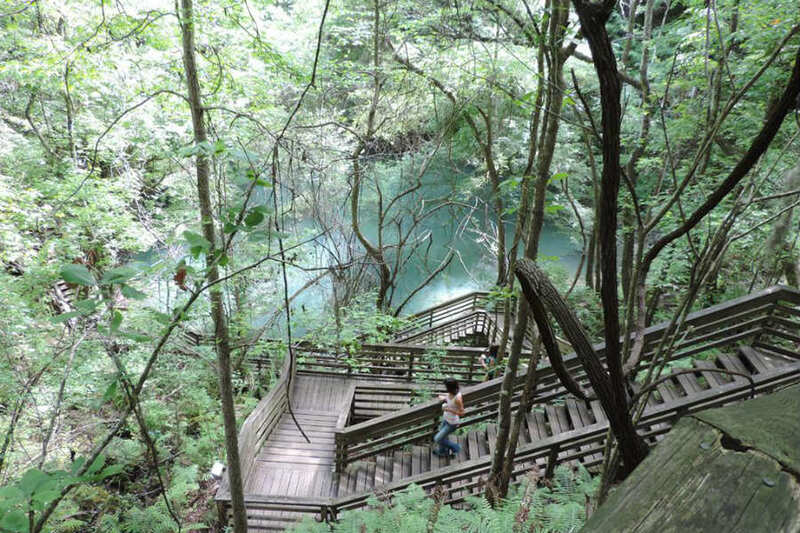 Photo courtesy of Florida State Parks. 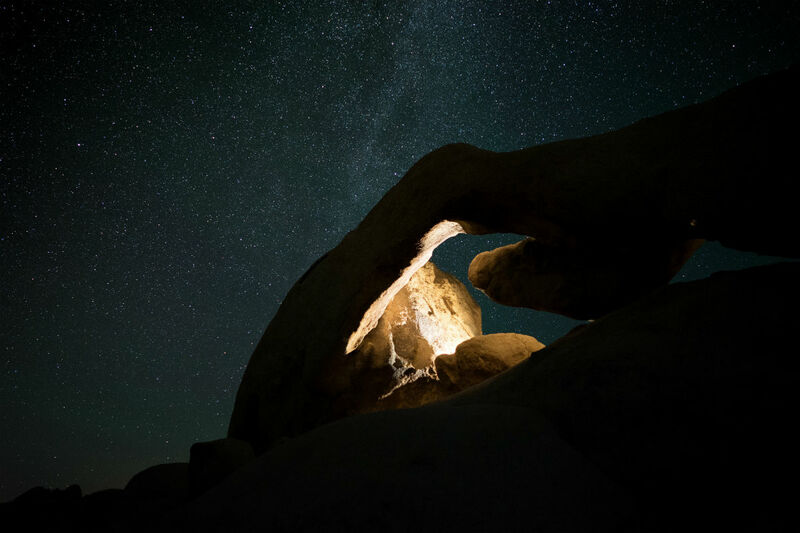 Joshua Tree at night. Photo by / Unsplash. Cosmic Connection: Fast forward to 2001. I was living in Manhattan. My marriage was failing. I was stretched beyond my capacity at work. I wasn’t happy. So I got on a plane to Los Angeles. Driving east on the 10, I was floored by the emptiness of the desert, those mysterious windmills, and the hot, bright sunlight that was foreign and familiar in the best way. In Indio, under more stars than I could count, I heard Sigur Ros play Coachella for the first time and thought I had landed on Mars. In a good way. I started plotting my move west right there on the spot and never looked back. Bioluminescence. Photo courtesy of Vieques Tourism. Cosmic Connection: We spent New Year's on the island of Vieques shortly after much of the island was converted from a military zone to tropical holiday zone. Its long, virtually abandoned sandy beaches felt impossibly remote and perfect — despite the threat of unexploded mines lurking in the shallow water. 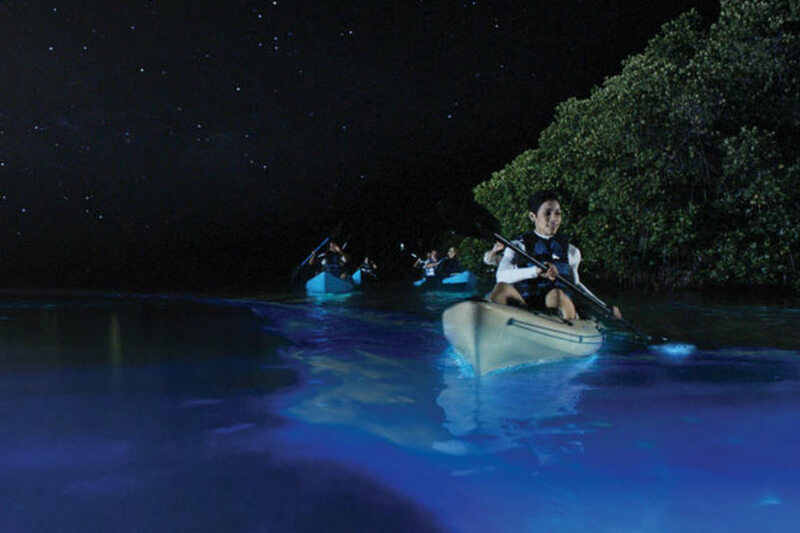 But the glowing algae in its famed bioluminescent bay is the real draw. When you drag your hand through it, a trail of glowing underwater embers follows. When we landed on the island, we were at a crossroads: I wanted to have children. He wasn’t convinced. I like to think that swimming at night in that bay changed him in some way, and he felt a little stupid keeping that kind of beauty all to himself. By the time we left, we were in it together, ready to start a family. to get the latest about transformative travel. The Badlands are far out. Photo by / Unsplash. Cosmic Connection: I don't think of myself as the kind of person who talks about the “golden age” of anything. But if I were, I would be tempted to mourn the golden age of magazines. I worked at Conde Nast when it was at 350 Madison, an imposing building that felt as Citizen Kane as publishing gets. I expensed my lunches. I flew business class. One of my last truly great magazine assignments was for Elle. I was one of four writers charged with the task of shopping across America. I started in Seattle in a borrowed Range Rover and drove to Chicago over five days, browsing through vintage stores, resort boutiques, and Ikram several years before Michelle Obama put it on the map. I boldly asked my very new boyfriend to make the drive with me. My friends said that we would break up somewhere in Montana or get married. By the time we made it to the Badlands of South Dakota and spent the afternoon scrambling across those pink striped rocky outcroppings exactly in the middle of nowhere, it was clear that no one was breaking up with anyone. Ever. I was made bolder by those vast, dramatic spaces, and felt braver (by proxy) to make a big swing with relationships again. Summiting the volcano. 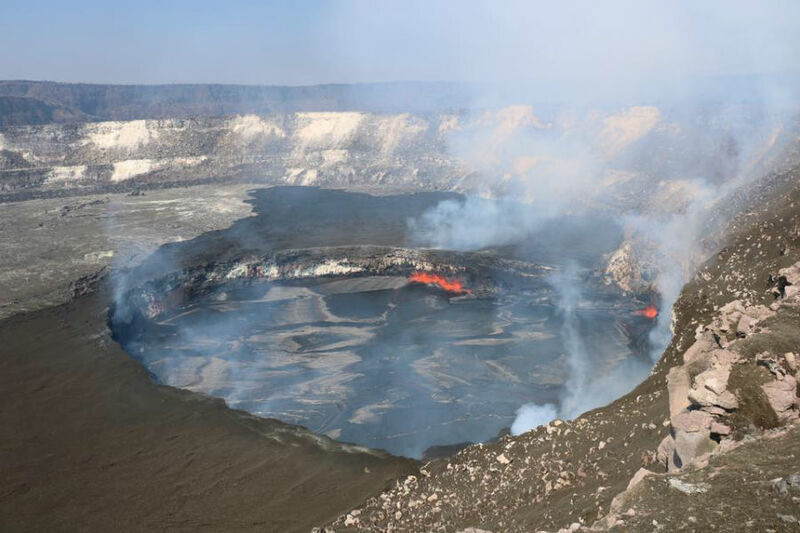 Photo courtesy of Hawai'i Volcanoes National Park. Cosmic Connection: It’s foolish to wish time moved faster, especially as a parent, but I'd be lying if I said that we weren't counting the minutes until our kids could go for a decent hike. Before Christmas this year we went to Volcanoes, for all of the reasons I mentioned above. We also wanted to show them that when stress starts to cloud your thinking, the best way to clear your head is to get outside and take a walk, preferably up and down a mountain under a clear sky. It doesn't fix anything, but it can start the process of healing. Christine is a freelance magazine writer living in Los Angeles. You can follow her on . She travels for the change of pace. У нашей фирмы авторитетный web-сайт со статьями про https://best-mining.com.ua.